The dairy sector is one of the main drivers of the Italian agrifood industry. The credit goes to the wealth of cheese types as well as to the ability of companies to both diversify the offer and follow the latest trends. Among such products are the numerous new ‘light’ versions which are aimed at the increasing number of consumers who follow a nutritionally balanced diet. With Italy holding the biggest number of such certifications in Europe, the real superstars of the scene are PDO cheese products. Grana Padano has unique and valuable nutritional properties. It comes as no surprise its production has reached nearly 5 million wheels a year. With exports of about 1.9 million wheels (40.5% of the total branded products), it holds the distinction for being the world’s most popular PDO product. 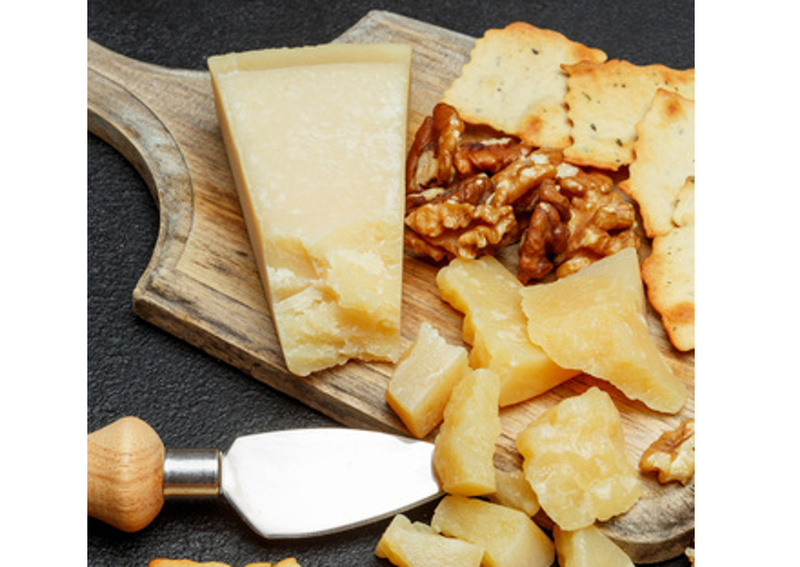 In Italy, Grana Padano, together with Parmigiano Reggiano, is the most exported cheese. The main markets are Germany, France, Spain, the UK, and the United States. “To date, the production plan has allowed to maintain a perfect balance between production and market demand, which went up by 6.4% and 7.7%, respectively, in Italy and abroad (January to July 2018 period),” says Cesare Baldrighi, President of the Consorzio Grana Padano. “In 2009, production amounted to 4,227,920 wheels. In 2018, after nearly 10 years, we expect it to hit around 5 million wheels; an extra 770,000”. 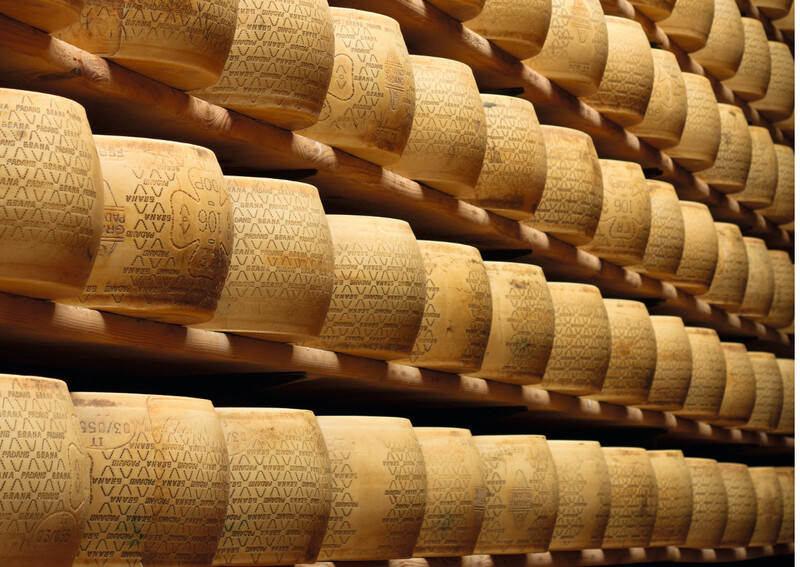 The Consortium has introduced new technical assessment criteria for the cheese that becomes Grana Padano. The aim is to ensure even more strict quality standards. The plan also includes a greater commitment to amending procedural guidelines in order to take even better care of animal welfare and to respect the environment. Among such measures are adjustments in the feeding of the cattle; the introduction of an annual assessment of the cattle, including the possibility of certifying the milk producers; assessment of the stables and consequent improvements of those structures that do not meet the minimum score required; an assessment as potential requirement of the product specification. October was a very important month for Parmigiano Reggiano. The SIAL trade fair in Paris, in which the Consortium participated, was a crucial event as France is the top overseas market for Parmigiano Reggiano. In 2017, a total of 9,800 tonnes were shipped to the country, with an 11.3% increase compared to 2016. In addition, with Dubai’s 2020 Expo in sight, the Consortium participated in a trade mission in Dubai organized by the Emilia-Romagna region. The goal was to consolidate its presence in a fast-growing market, such as the Gulf Region, which has shown interest in Italian food products bearing geographical indications. The mission also included gourmet events aimed at foodies and food enthusiasts, as well as the attendance to the twentieth anniversary of World Pasta Day, held in Abu Dhabi. “Parmigiano Reggiano – said the Director of the Consortium, Riccardo Deserti – has a turnover of 2.2 billion euro. In 2017, exports increased by 3.9%, reaching 39% of the total production (147,125 tonnes). According to ISTAT, the UAE is the region’s biggest importer of hard Italian cheese: 394 tonnes in 2017, compared to 128 of Saudi Arabia, Qatar‘s 101 and Bahrain’s 3”. Great success for Italian cheese in Canada: +20% in volume in the first 7 months of the year. Much of the credit must be given to CETA, the free trade treaty between Canada and the European Union (currently in force, albeit still provisional) on September 21, 2017. “Since CETA, our exports in Canada have grown steadily – says Giuseppe Ambrosi, President of Assolatte -. This is a positive outcome for our companies, the whole industry and the entire Italian industrial system”.